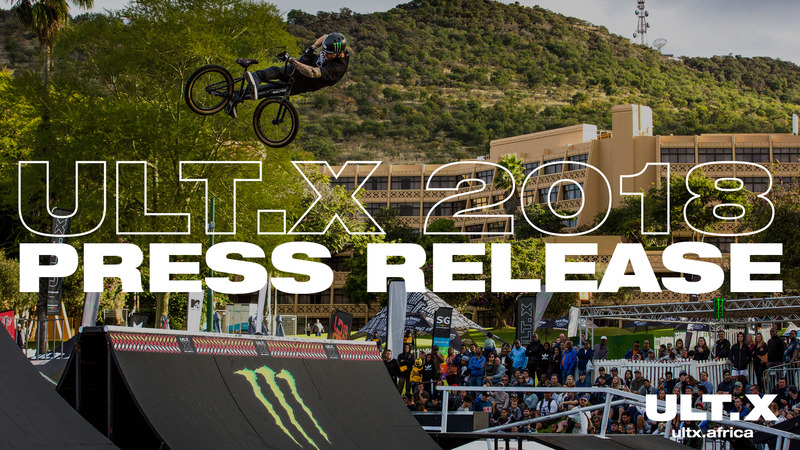 After nine years of providing Africa with its premier action sports event, the pressure was on for the tenth edition of Ultimate X. 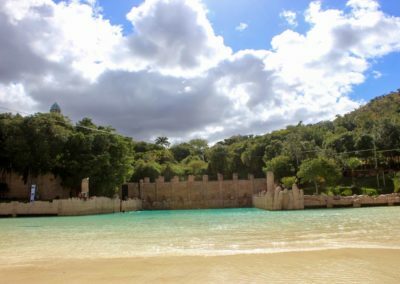 With a move from its original home, Cape Town, to the bush and hills of the Pilanesberg, no one knew what to expect on arrival at the event. 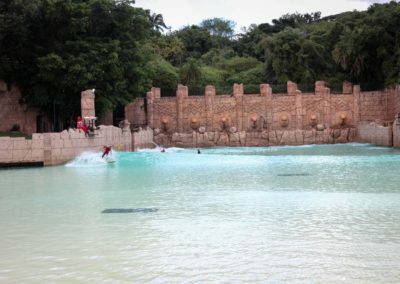 Sun International wanted the event at Sun City and it turned out to be an exceptionally good idea. 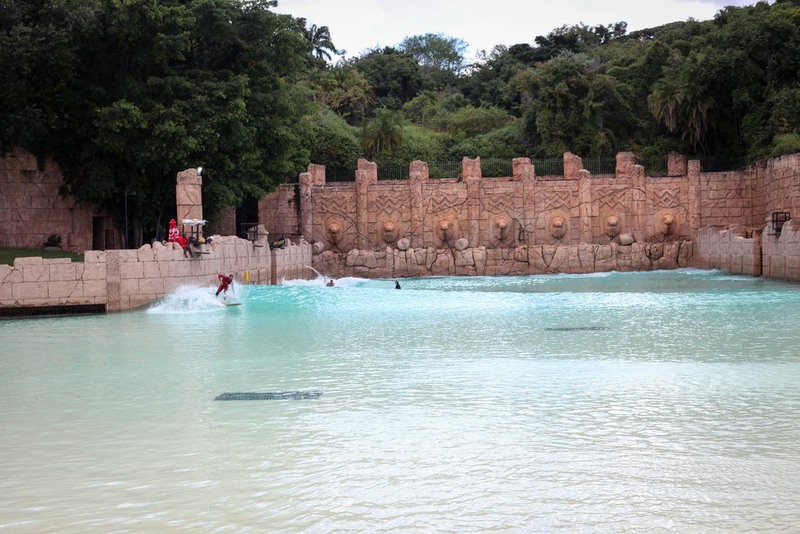 From arrival on the Thursday, both athletes, media and sponsors were treated to exceptional hospitality and glorious African Cuisine. The early arrivals got to head into the Pilanesberg National Park with Mankwe Game Trackers and experience the bushveld and the big five first hand. Afterwards they were treated to a traditional “Braai” with gourmet boerewors rolls. After that many chose to enjoy the Sun City nightlife and Casino. 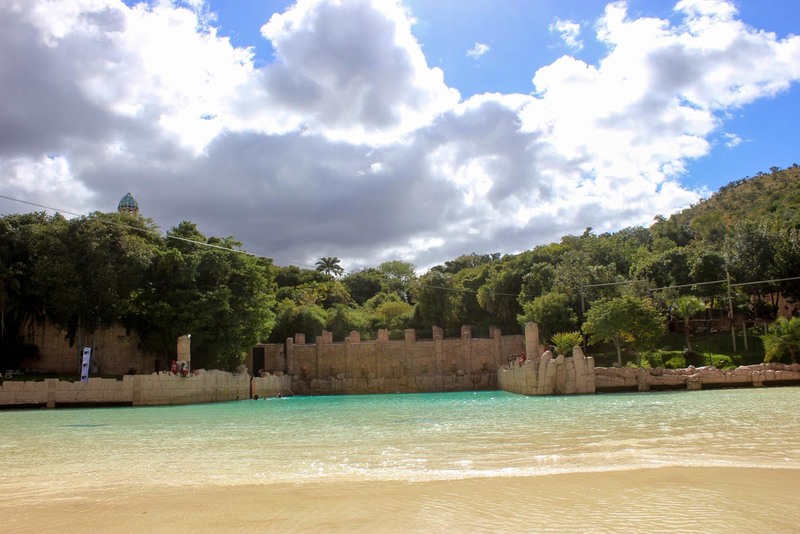 Friday saw the balance of the athletes arriving from the Night Harvest event the previous evening in Cape Town. 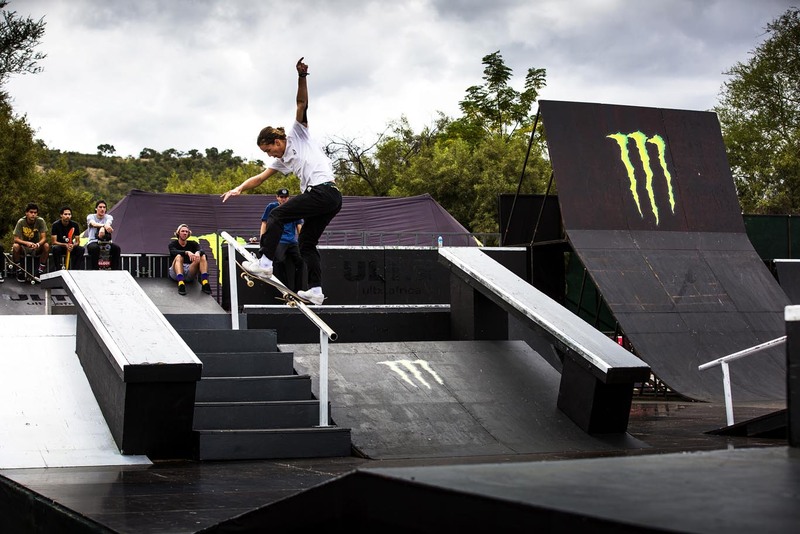 Many of the sponsors and media joined Monster Hydro, TaylorMade and Skullcandy on the world famous Lost City Golf Course, while others either enjoyed all the action attractions at the resort, hit a practice session at the incredible contest park or simply lazed poolside. 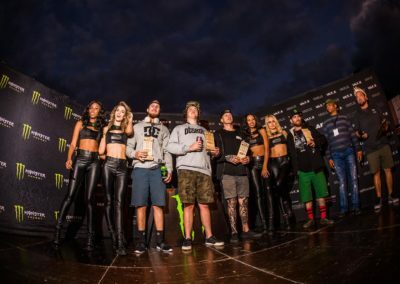 The evening saw the first of two action packed Monster Energy, Flight Night FMX shows under lights, with both the athletes and the Monster Energy Girls keeping the crowd entertained until the closing fireworks display. 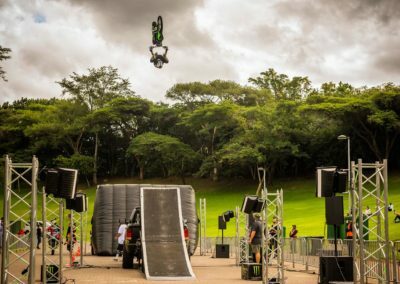 Local FMX riders, Dallan Goldman, Scotty Billet and Alastair Sayers pulled some huge tricks, as they were joined by Nitro Circus star, Brayden Davies from Australia. The evening ended off with a traditional “Shebeen” evening put on by North West Tourism. 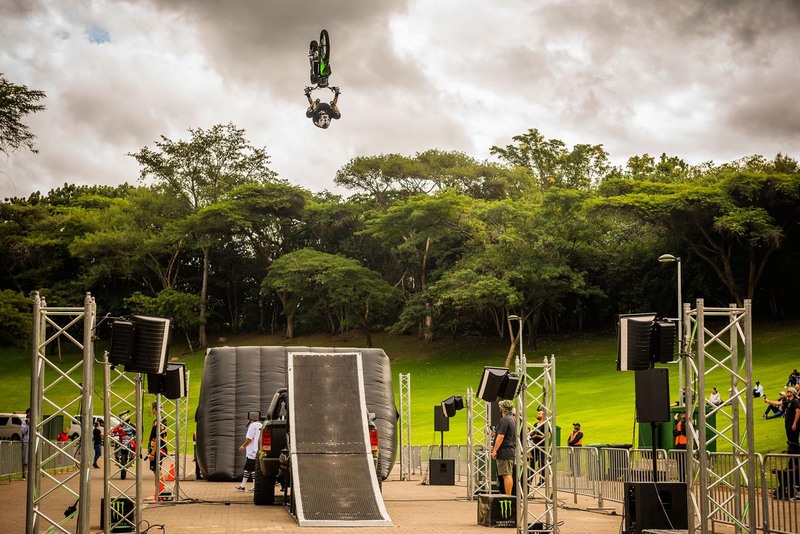 The international guys were blown away by the food, hospitality and traditional dance troop, who even pulled up BMX stars, Kenneth Tencio and Tristan Aarts to join them on the dance floor. An incredible first day at Ultimate X. Day two dawned with a palpable sense of expectation, as the crowds started arriving early for the SKATE and BMX qualifying and finals. In the Element skateboard qualifications, the local guys were lifting their game in answer to the small batch of international riders competing. It was very hard for the judges to decide on the finalists and no one could claim to pick a leader amongst them. Moving into the finals there was a massive battle between defending champion, Brandon Valjalo and the two international skaters, Tomas Vintr (Czech Republic) and Zander Gabriel (USA), with young Cape Town star, Allan Adams hot on their tails. It was also great to see skate stalwarts Alan Marola and Puddy Zwennis battling through to the finals, along with Yann Horowitz and Byron Rhoda. In the end, it was consistent and clean riding with some technical mastery, that saw Zander narrowly edging out Brandon for the win. In the SKATE best trick, it was a three way battle between Brandon Valjalo and the Adams brothers, Moses and Allan, for the win. Brandon and Moses were both looking to take it, but Allan had other plans and literally on the buzzer took the win with a kick flip crooked grind down the big stair rail. 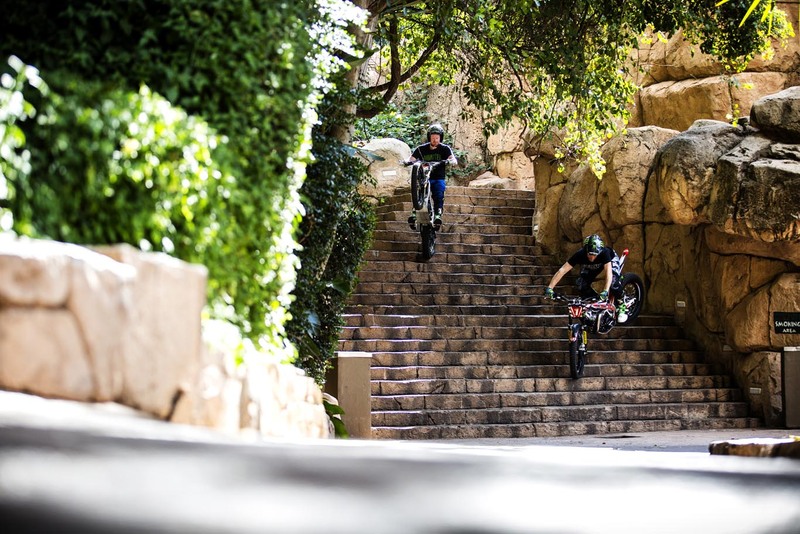 Into the BMX and one of the best lineups of athletes you would be able to see anywhere in the world. With five X Games Gold medalists in the lineup, both local and international riders knew they would have to perform if they wanted the Mongoose BMX Title. The local contingent, led by stalwarts Greg Illingworth and Malcolm Peters, put up some incredible performances, but unfortunately were unable to post big enough scores to qualify for the finals. 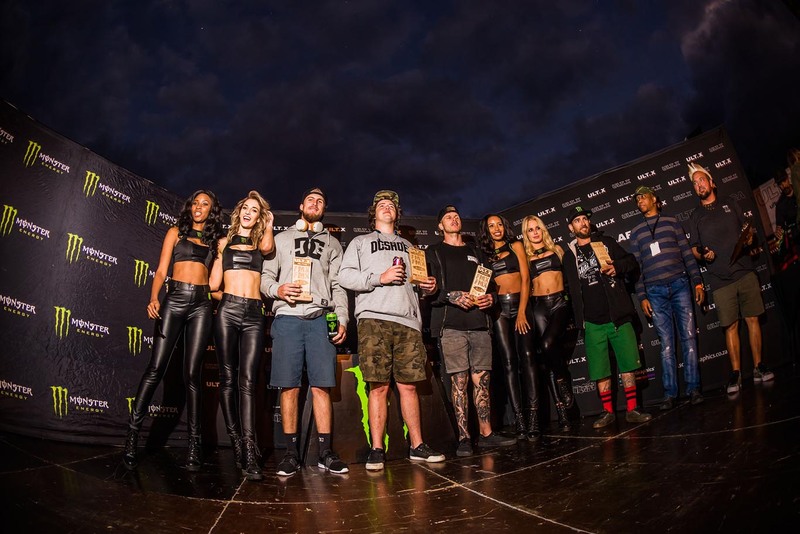 The stacked lineup proceeded to wow and awe the assembled crowd at Sun City with the best BMX ever seen in Africa. 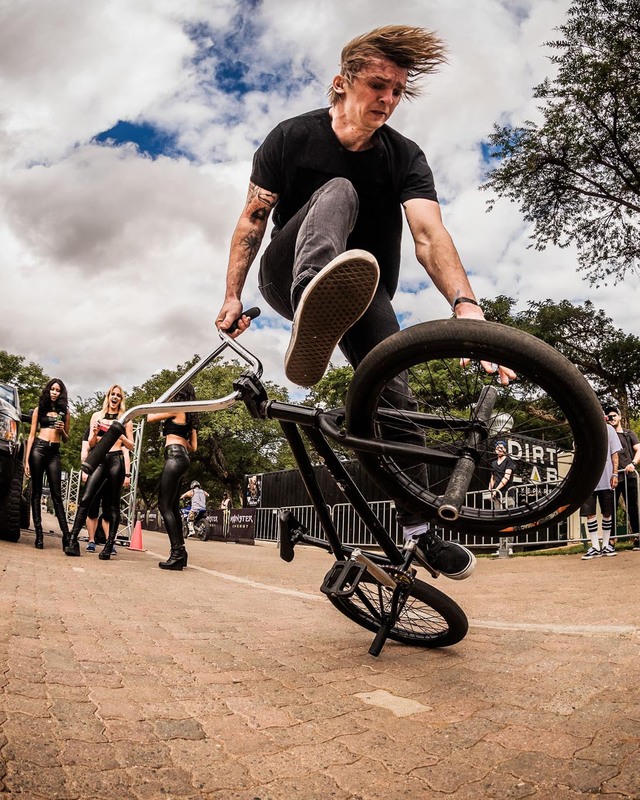 International MC and BMX celebrity, Catfish, was on fine form and also keeping the crowd entertained and appraised of what they were witnessing. 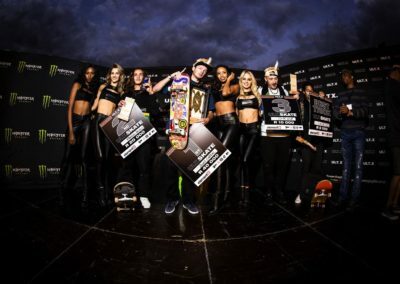 The finals were incredible and big name stars like Logan Martin (X Games Champion), Kyle Baldock (X Games Champion), Ben Wallace (BMX Legend) and Alex Coleborn ( Nitro Games medalist ) all put in incredible runs. The level was so high that some of the worlds best found themselves at the back end of the top 12 and heading home to figure out what to bring to their runs next year. One guy opened his finals run with one of the craziest, biggest and wildest runs seen at Ultimate X and that was 15 year old Ohio native, Marcus Christopher. 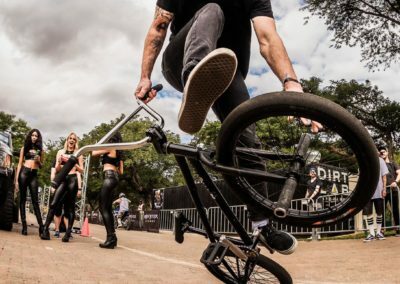 At his first major international event, the youngster made certain that the eyes of the BMX world will be firmly fixed on him moving forward. 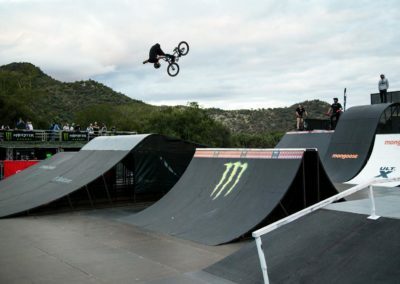 He laid down the best run of the day and up against some of his idols, took the Mongoose BMX win at Sun City. In the BMX Best Trick there was a mammoth battle, as riders laid down hammers, back to back for the full 15 minutes. SA legend, Greg Illingworth joined MC, Captain Kai, on the mic and they were both left gobsmacked by the incredible level of riding that went down. 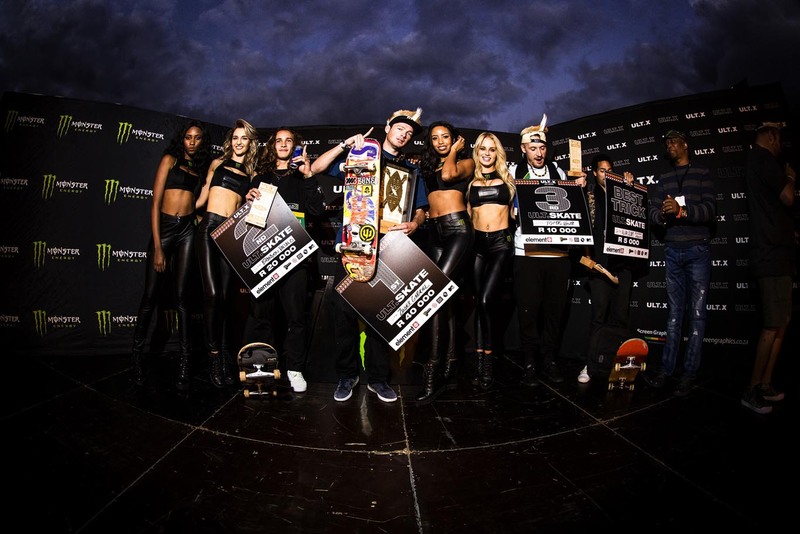 Both the Bringer brothers from France were incredible, Kenneth Tencio was dropping world firsts, Levi Weidmann was going huge, but it was the King of Fakie (Riding out tricks backwards), Pat Casey with a 540 Double Whip over the spine with the win. 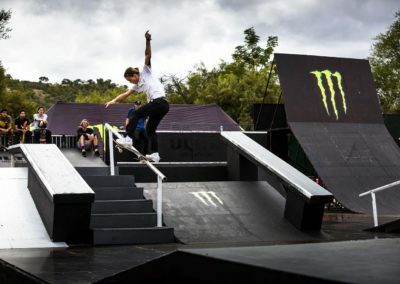 Sunday saw a chilled affair at the Valley of the Waves, with the Rolling Retro crew from Cape Town putting on retro surf demos with Billabong and Skullcandy, while Monster Energy kept the beach excited. 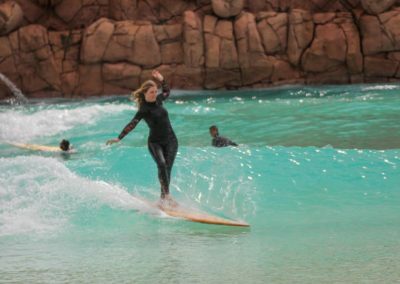 The crowds enjoyed the flamboyant surfing approach of Longboard legend, Michael Grendon and many of the UX athletes and sponsors also took to the waves. Captain Kai kept the crowd entertained and Robby MacDonald, from Vudu Surf, supplied the retro surfboard collection. It was a great chilled event to wind down the action packed weekend. As the sun set on Sunday evening and the crew enjoyed a wonderful game drive and Boma dinner from North West Tourism, all could agree that the tenth year of Ultimate X was incredible and that most were definitely returning to the Pilanesberg for 2019. 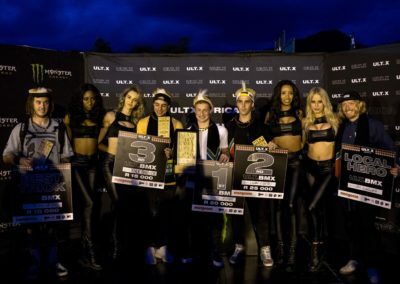 Huge thanks go out to everyone who worked on Ultimate X and helped to make it a world class action sports event, especially the two behind Old School Productions & Action Sports Africa, Markus & Janel Museler.